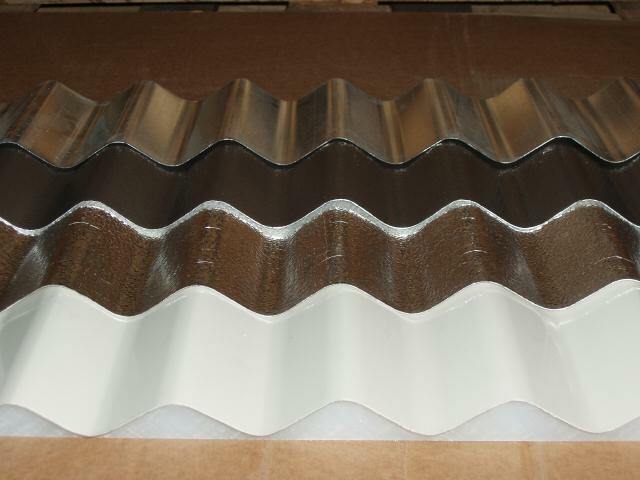 Modern advances of coating steel sheets with a layer of zinc and aluminum, make corrugated metal roofs a viable economical alternative to conventional roofs, and premium metal roofs. Corrugated metal roofing systems available today offer high degree of corrosion resistance, energy efficiency, and economical sustainability. Many corrugated steel roofing sheets contain over 30% of recycled steel post consumer content, which qualifies it for LEED credit awarded by the green building council. Corrugated and Ribbed (R-panel) metal roofs are usually made out of G-29, or G-26 (G-26 or smaller gauge is actually thicker and better for residential uses), galvanized steel sheet roofing panels with exposed fasteners. Corrugated steel roofs are energy efficient, environmentally friendly, green and most importantly affordable. Made out of a relatively thin sheet metal, corrugated metal roofs costs less than metal shingles, and standing-seam metal roofs. They can be a practical alternative solution for commercial, agricultural, industrial, and sometimes residential buildings. Corrugated metal roofs are comprised out of corrugated sheet roofing panels that are 32 to 36 inches wide. The panels are connected in a side by side overlapping fashion. To attain water-tightness, the caulk has to be used at the points of overlap in between the metal panels. Corrugated steel panels are secured in place by exposed fasteners. The disadvantage of using exposed fasteners is that the water may leak through if the fasteners become loose. Did you know? To keep corrugated metal roofing watertight, the exposed fasteners have to be re-tightened every 10 – 15 years. Therefore, this is not a maintenance free roof. As with most metal roofs, there are premium material choices available for corrugated roofs. 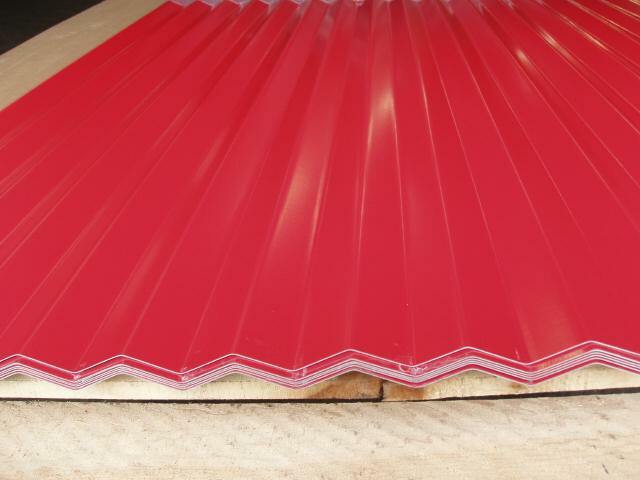 For instance, you can get aluminum corrugated sheet roofing panels, which will last longer than steel. There are also stainless steel corrugated panels available to you. Of course, this will cost slightly more, but the higher price may be justified by the fact that you will have a longer lasting roof. Although, corrugated sheet roofing systems are primarily used for agricultural, industrial, and commercial uses, they can also be used for some residential homes. If you are planning to save money on the installation of a new metal roof, then consider installing a corrugated metal roofing system made out of G-90 Galvanized Steel, Galvalume steel, or aluminum. Be sure to select a system coated with a premium cool roof rated color finish to ensure a long lasting and reliable service of your new roof. As a last word of advice, I would like to remind you that corrugated metal roofing systems are very competitively priced, and the cost of labor to install it will be your biggest expense. 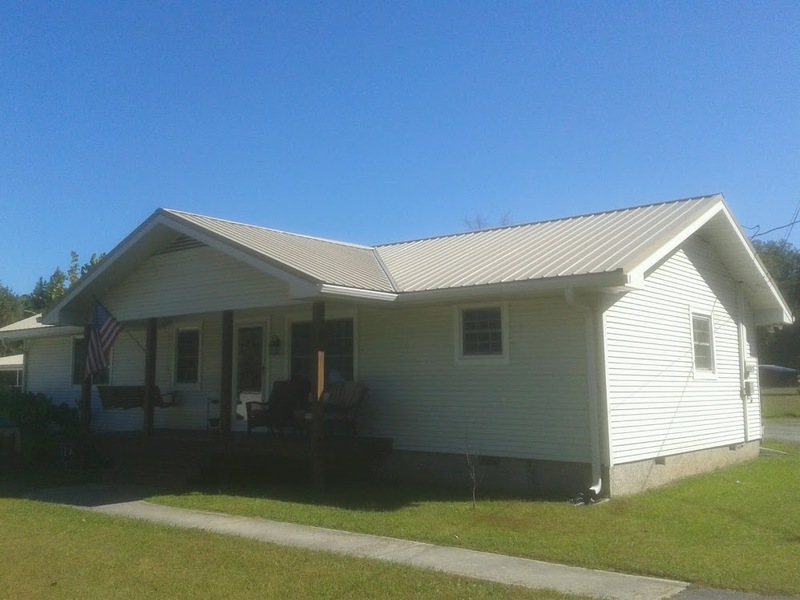 Therefore, it makes a lot of financial sense for you to pick a longer lasting corrugated metal roofing system for your home, garage, or shed. 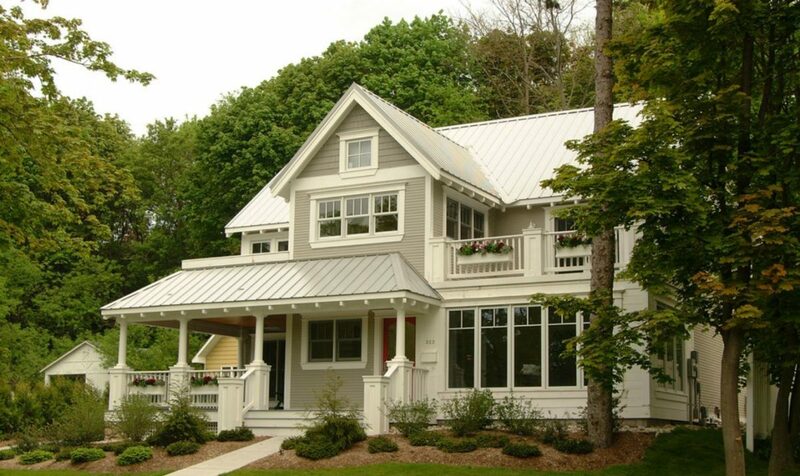 Be sure to choose Galvalume steel or aluminum in favor of a less expensive galvanized steel. Also, be sure to select a system that has a premium paint finish.